Freehold: Sheriff Shaun Golden and Fran Hines, the part time autism outreach coordinator of the Monmouth County Sheriff’s Office are kicking off Autism Awareness Month by not only having staff of the agency going blue but by training as many members of law enforcement as they can on how to respond to individuals with autism. Hines, who has been working with the sheriff’s office since the beginning of the year, is an autism awareness trainer with the New Jersey Department of Health, and, a parent of an autistic child. 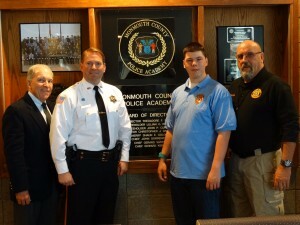 He holds training sessions for law enforcement throughout Monmouth County. In recognition of Autism Awareness Month, the first group of corrections officers in the state were trained on how to deal with individuals with ASD, April 4, at the Monmouth County Police Academy. During the autism awareness class, Hines trained the recruits on how to prepare themselves when dealing with individuals with autism spectrum disorder (ASD). He listed the signs an individual with ASD can display, such as being non-verbal, having no eye contact, exhibiting violent tendencies, fear, and nervousness. Because individuals with ASD behave differently, it’s important for members of law enforcement and the public safety community to be patient and understand the situation. In addition, they need to be aware of individuals who do not take direction or answer questions, and, know how to interact with them. Incarcerated autistic individuals may need support that other inmates don’t require for effective rehabilitation. “Members of law enforcement must have a deep understanding of how to approach a situation and know the risks when dealing with an individual with ASD. Corrections professionals are no exception since they must remain vigilant when observing an inmate who may have ASD,” said Fran Hines, Autism Outreach Coordinator. 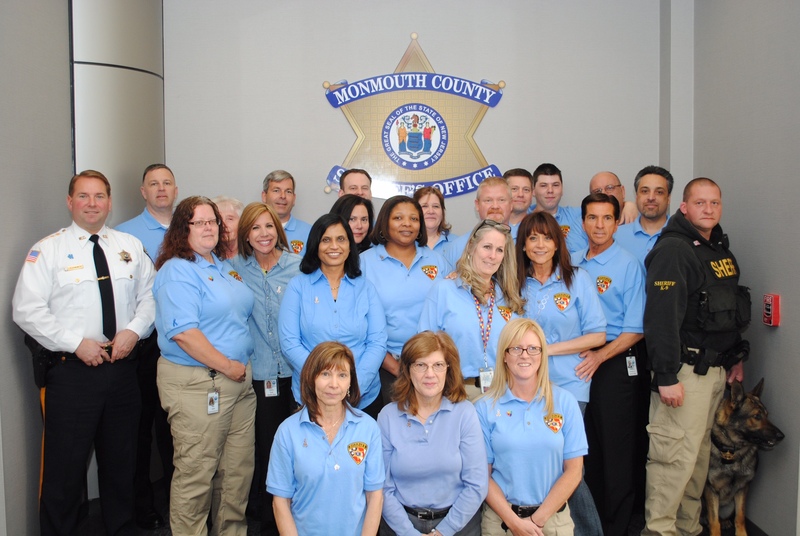 Hines also trains the Monmouth County Sheriff’s Office public safety telecommunicators how to prepare themselves when responding to calls involving individuals with ASD. The agency’s public safety telecommunicators were the first group of 9-1-1 operators in the state to receive such training which began in 2011. It equips operators with information on autism to effectively assist a caller and prepare first responders on the emergency. As the agency’s autism outreach coordinator, Hines also works on the Project Lifesaver Program, an electronic monitoring program for individuals with ASD and Alzheimers. Project Lifesaver is a partnership between the Monmouth County Sheriff’s Office and the Monmouth County Office on Aging. To date, there are 93 individuals with ASD who utilize the Project Lifesaver Program in Monmouth County. According to recent statistics from the Centers for Disease Control, it’s estimated that one in 68 children in the United States has been identified with ASD. New Jersey has one in 45 children identified with ASD, making it the highest rate among states. Monmouth and Ocean Counties have the highest population of individuals with ASD in New Jersey.